If you look after your hair – treat it gently, keep manipulation to a minimum and protect the ends as much as possible etc – you will suffer from less breakage, and therefore retain more length. 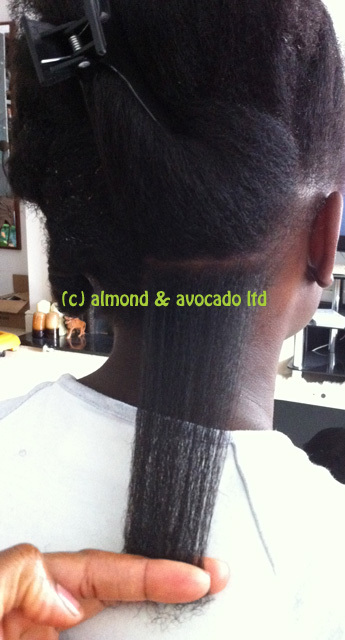 Longer hair (your hair will appear to be growing longer because it is not breaking off as frequently). If you look after your scalp – keep it free of dirt and debris (dead skin cells) through regular washing, and light oiling (if that floats your boat) – your hair follicles will remain healthy (i.e. 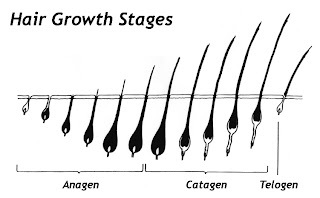 uninfected by bacteria, unimpeded by surface debris etc) – healthy follicles support healthy hair. More volume or thicker/fuller looking hair (More healthy strands of hair, less dandruff or gunky stuff on the scalp; fresh smelling hair. 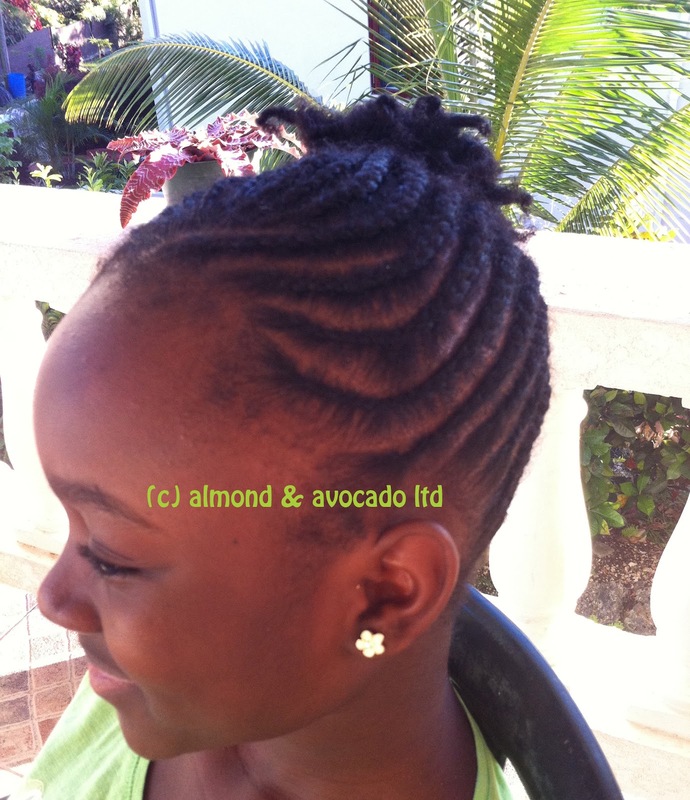 If you moisturise your hair (with water, herbal infusions (water or creams)) and then seal in this moisture by applying oil, cream or butter to the tips (ends) of your hair – the active ingredients (including essential oils) may penetrate the hair shaft (if they contain penetrative agents such as coconut oil or olive oil). They can also coat the hair shaft to provide a protective barrier against environmental debris (especially in the case of silicones and mineral oil). Overall result: hair is conditioned and may feel softer and look shinier. Note: If you apply certain essential oils blended in jojoba (one of the few carrier oils scientifically proven to penetrate the skin and potentially the hair follicles) to the scalp the beneficial properties in the active ingredients or essential oils can be delivered to the deeper layers of skin and in some cases to the follicle which may in turn stimulate growth. NB there is some debate as to whether or not the chemical compounds in these ingredients will be absorbed by the bloodstream when applied in this manner. If you eat a balanced diet (very important to include something from all the essential food groups) and then supplement with hair loving vitamins such as Iron, Zinc, Vitamin Bs (including Biotin), Omega-3, and Vitamin D you will be nourishing your hair from the inside out. Your body will absorb the essential vitamins and the broken down compounds will be delivered to your follicles and the skin cells of your scalp etc via the circulatory system. 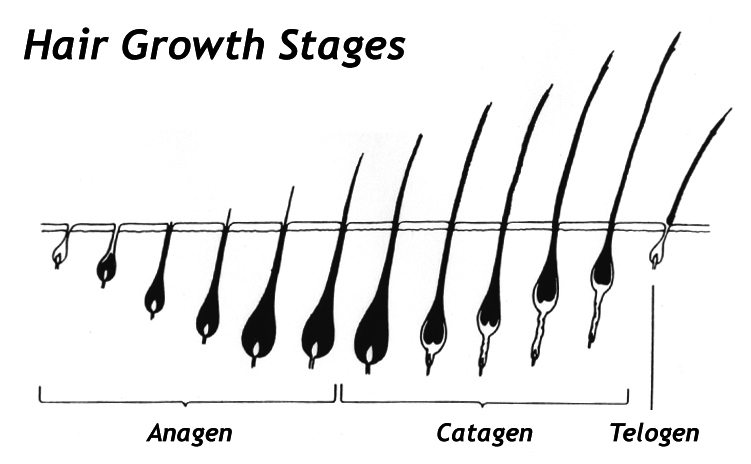 Overall result: your hair will become stronger (from the root first and for any subsequent new growth)– having been fortified internally before it even appears above your scalp, and if your hair growth cycles were previously sluggish or retarded – growth can be stimulated, repairing your hair from the inside out (new growth only). Applying creams and potions to your hair in order to enourage GROWTH will be ineffective if it is not combined with good nutrition and/or vitamin supplements, exercise and water. Healthy Scalp, health follicles, healthy hair: wash and condition regularly. 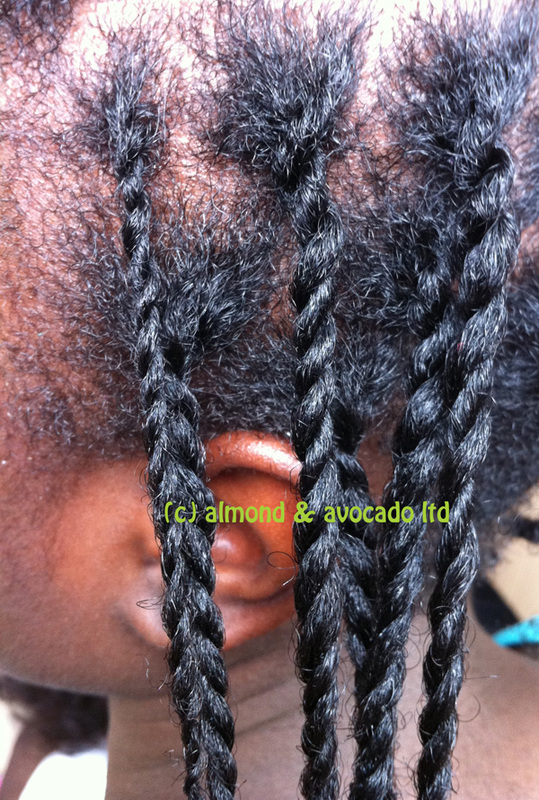 Low Manipulation & Protective Styling: treat your hair like cashmere and handle with care. Moisturise and Condition properly: hydrated hair is less dry, less brittle and less likely to break off. Eat Well: moisturising and nourishing your hair from the inside is the best way to grow long strong hair.